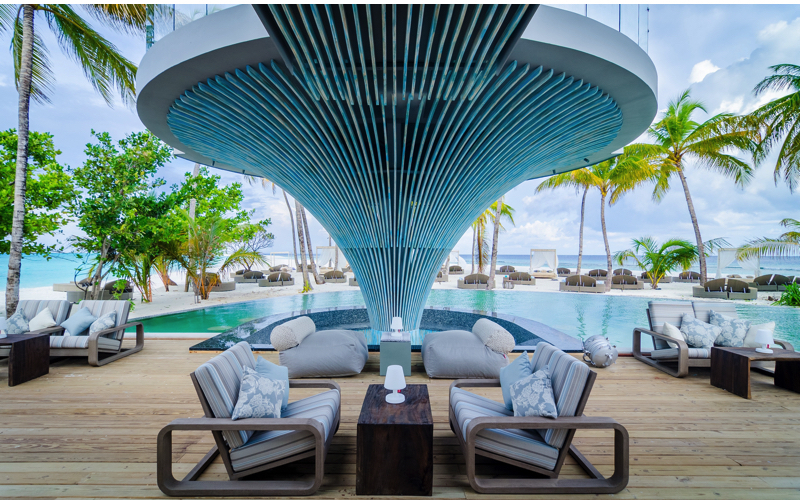 Finolhu Island Resort in Maldives is a luxury island in the Baa Atoll, a UNESCO heritage site. 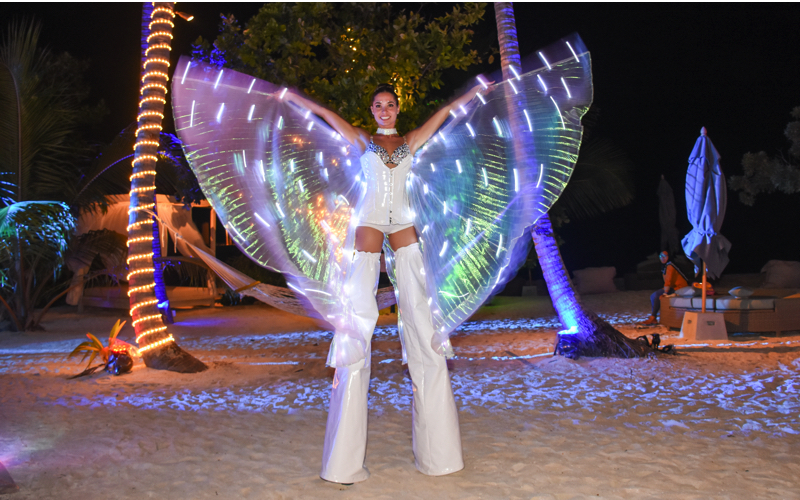 The resort which has a playful twist. 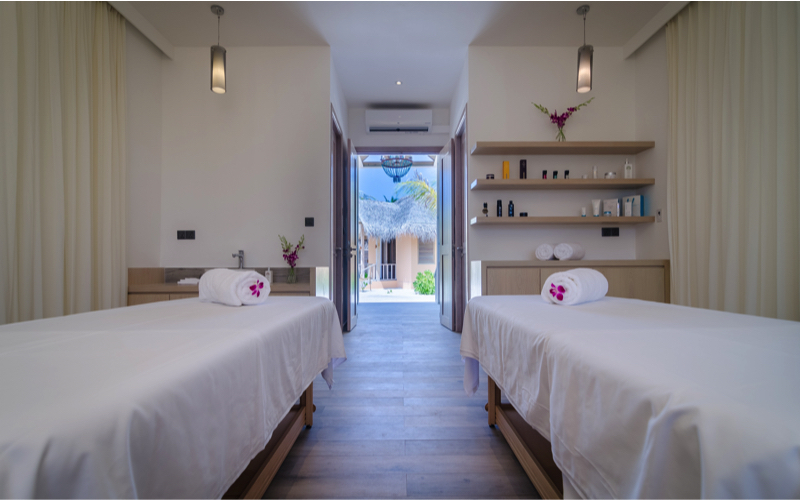 It’s ultra luxurious, with sleek private villas and five star dining. Take the 30 minute seaplane journey, or a domestic flight, followed by a 20 minute speedboat trip to reach the island. 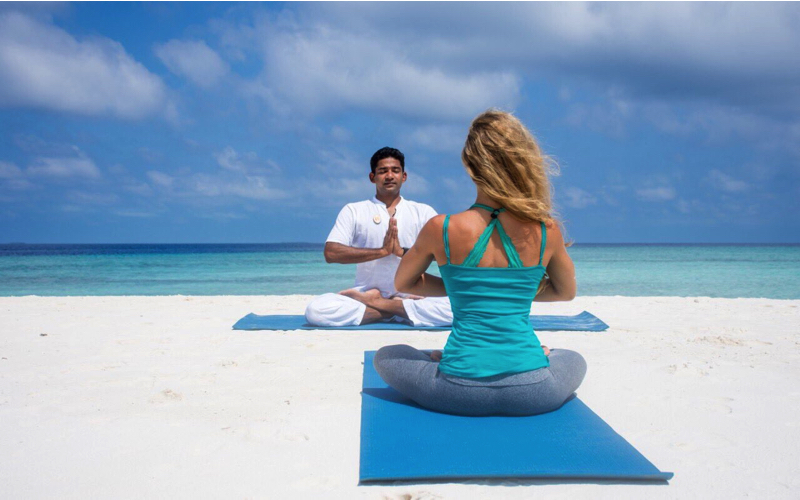 Whilst wandering around the resort you’ll find VW camper vans parked on the beach, vintage phones for ordering yourself some Champagne, pastel coloured spa huts. With 125 villas all licensed to thrill. 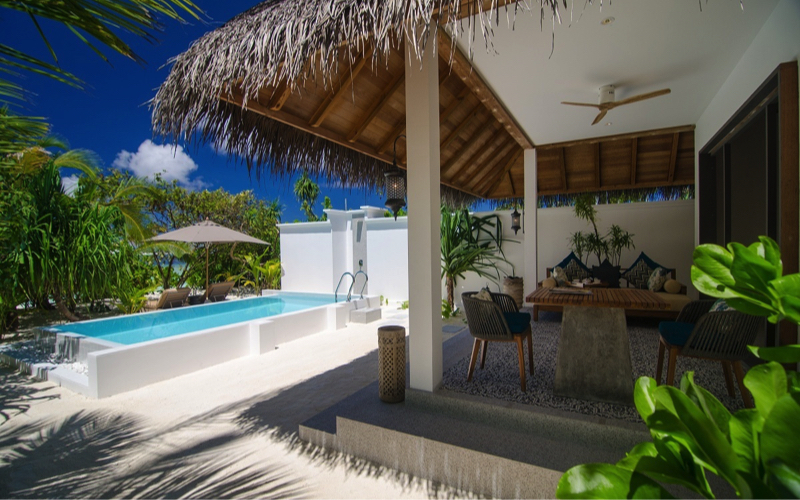 Choose from Beach Villa, Ocean Pool Villa, Private Pool Villa, Lagoon Villa. For families or friends then choose the 2 Bedroom Water villa with Pool. 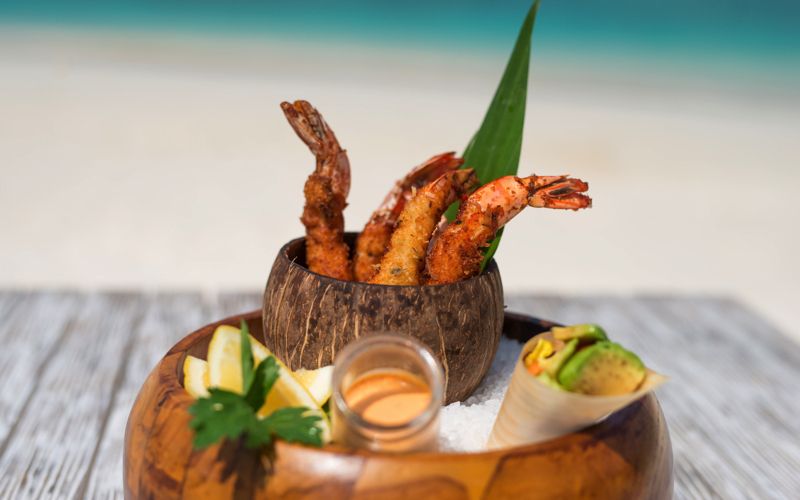 Breakfast and lunch at the Baa Baa Beach Diner and for dinner choose from North African flavours at the Baahaa Grill and Asian fine dining at the over water restaurant, Kanusan. 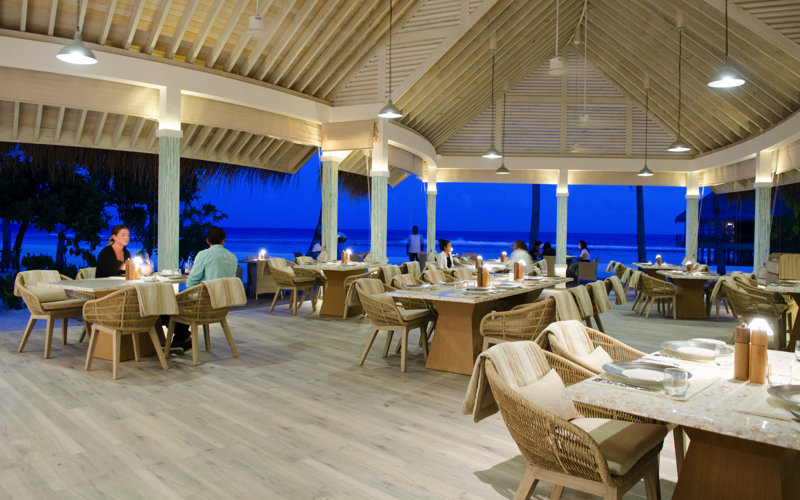 Of course one of the must try place to eat on Finolhu Island Resort is the Fish and Crab Shack. Take a walk to the end of the sandbank (the longest in the Maldives) and here you will find a rustic hut where you can tuck into a bucket of prawns or a fresh fish platter; Delicious. 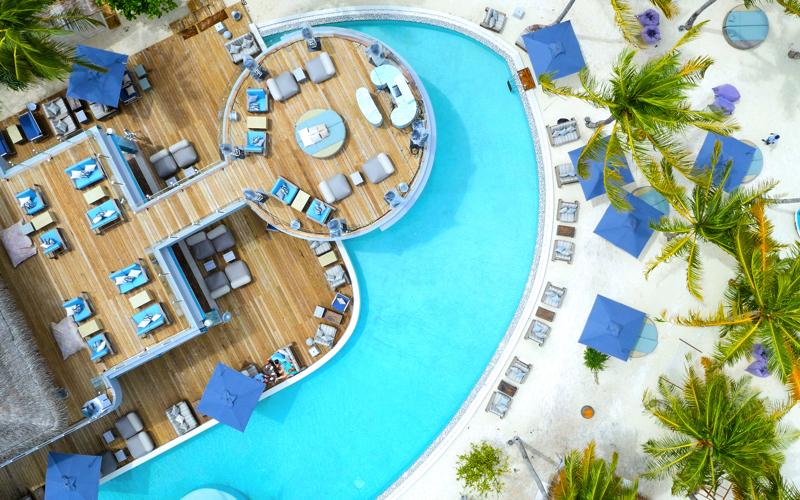 OAK Beach Club is the social hub of Finolhu Island resort, with a pool, games arcade and a futuristic rooftop bar. In the evening there’s live entertainment, a cinema in a truck or just take the option to chill out. 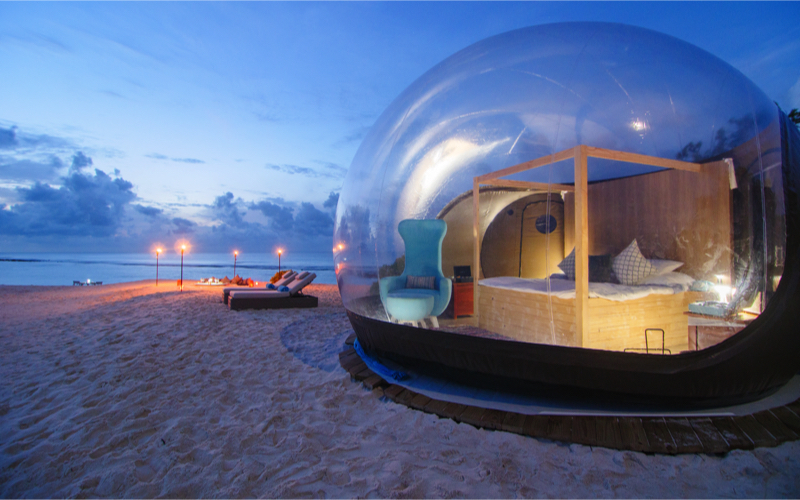 There is even an option to try glamping with the resort’s ‘Dream Eclipse’ experience and spend the night in a cool ‘beach bubble’ tent. You can even learn how to surf with the help of the island’s expert instructors. You can learn all the basics and soon be riding the waves. Guests can also hop on a speedboat for a half hour ride to Finolhu’s sister island; the amazing Amilla Fushi. 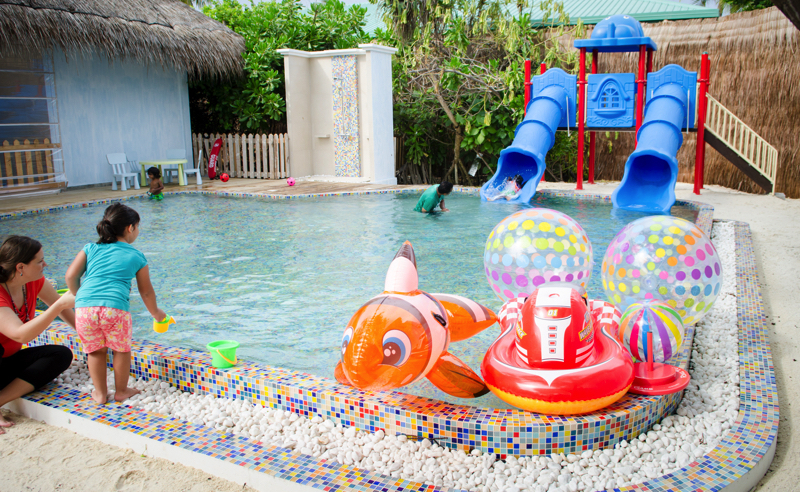 Finolhu Oceaneers kids club with sports, board games, cooking classes, crafts and supervised activities in and on the water your kids definitely won’t be bored. From tots to teens, kids can enjoy activities especially created for them by the trained staff.